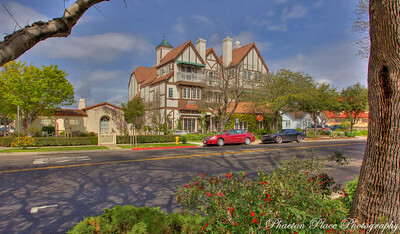 After a day of rain yesterday and spending much of our day inside, we decided to take another drive back to Solvang today regardless of the weather. It was a little hit and miss today. A few showers but some sunny periods as well. 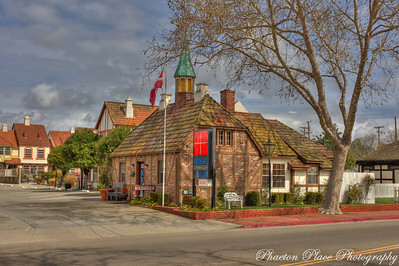 Thankfully, our time in Solvang today was without rain. We strolled the streets we missed the other day and also visited the Han Christian Anderson museum. Yes, the same Hans Christian Anderson who wrote Thumbellina, Princess and the Pea, Snow Queen, Little Mermaid and other famous fairy tales. We saw many first editions dating back to 1840 in the many book cases lining the walls of the museum. Lunch today was a Paula’s Pancake House. 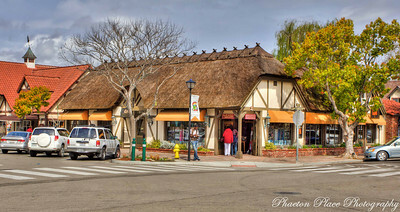 For any visitors to Solvang looking for a great breakfast or lunch….Paula’s is definitely the place to go. We both enjoyed the Danish pancakes with fruit for lunch and I also added some bacon and scrambled eggs. Simply wonderful. After lunch we stopped in at an Ostrich & Emu Farm near Solvang. I’ve got a few photos in the works for my next entry. that is so funny. I was just ready to type "your photos look just like postcards" when I read the comment by Dennis and Donna. Well, I guess they do! Lovely. I love Solvang. I lived in Lompoc for a year back in 1967 when my kids were all just babies. Your photos actually look like postcards…very lovely. All that and pancakes too! !